Insider Market AdvisoryGain an insider’s edge on the futures markets! As an Insider Market Advisory subscriber, you’ll have access to timely and reliable futures trading information through one convenient location. Insider Fast Track Advisory – Get a concise snapshot of all eight (8) market sectors with Insider Fast Track Advisory. 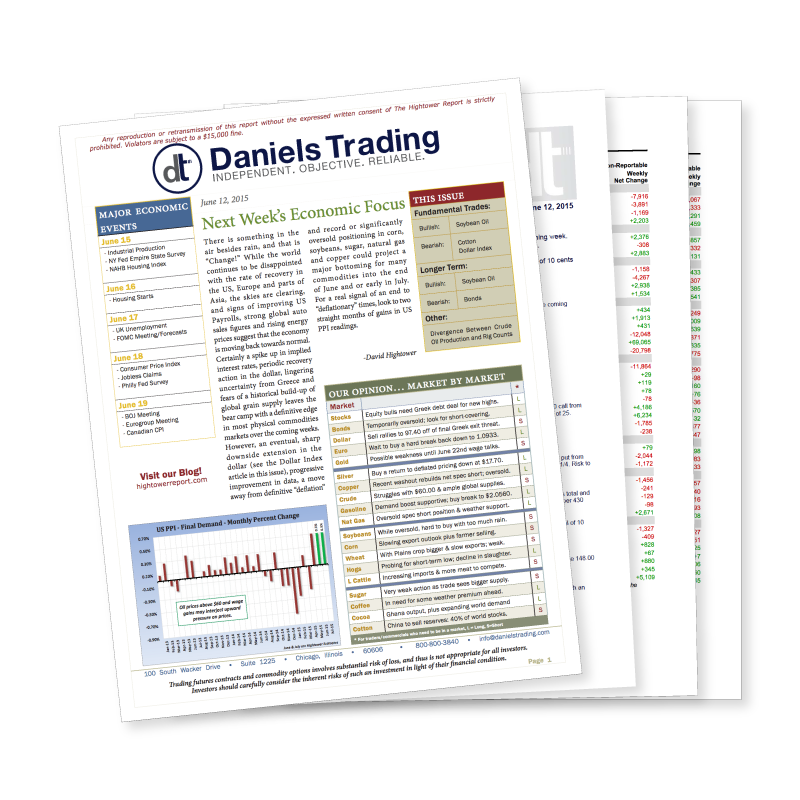 If you’re short on time, the brief trade recommendations and fundamental and technical summaries included in this resource are ideal for you. Insider Market Navigator – Updated twice a month, Insider Market Navigator spotlights individual markets that warrant your close attention. Written with an eye on recent market dynamics, this newsletter provides straightforward price range forecasts along with outright trade recommendations. Weekly Commitment of Traders Data – Widely recognized as a valuable tool to analyze the markets, these reports document the positioning of major market players. With these concise reports, you can easily track the positioning changes of the commercials, funds and public. Always Free for Daniels Trading Clients: Insider Market Advisory, as well as most other Daniels Trading advisories, are provided on an ongoing complimentary basis for clients of Daniels Trading with open and funded futures trading accounts.